The Centre for Translational Research on Mood Disorders and Suicide, directed by Dr. Gustavo Turecki, combines several research areas – clinical, neuroanatomy, molecular and cellular biology and epigenetics – with the goal of understanding the mechanisms underlying mood disorders and suicide. The Centre is fully equipped with the tools to conduct translational research, a form of research that allows knowledge developed in basic and clinical research to be applied directly to patient. Established in 2015, the creation of the Centre was made possible through a $7.2M grant provided by the Québec Ministry of Health and Social Services. The laboratory facilities are fully furnished with state-of-the-art instruments dedicated to the study of post-mortem brain tissue (histology), cellular and tissue imaging, and the cellular culture of human brain tissue.  The Centre also benefits from a unique combination of cutting-edge platforms at the Douglas Institute including the Douglas-Bell Canada Brain Bank, the Neurophenotyping Centre and the Brain Imaging Centre. The Centre is part of the McGill Group for Suicide Studies (http://mgss.ca/), a group directed by Dr. Gustavo Turecki and composed of clinical and basic researchers using multidisciplinary approaches to investigate risk factors associated with suicidal behaviour and related conditions.